We continue on the collection of the most important architecture monuments of Dubai: Burj Khalifa, Al Fahidi Fort, Mall of the Emirates, The Dubai Fountain, Burj Al Arab, and Jumeirah Mosque. Perhaps, all of them also define the look of United Arab Emirates in general. The 3D models of landmarks, presented in our Dubai flyover video, will help you to get a grasp on the true architectural and historical heritage of this place. We hope that photographs and historical facts will give you a better impression on each of these monuments. 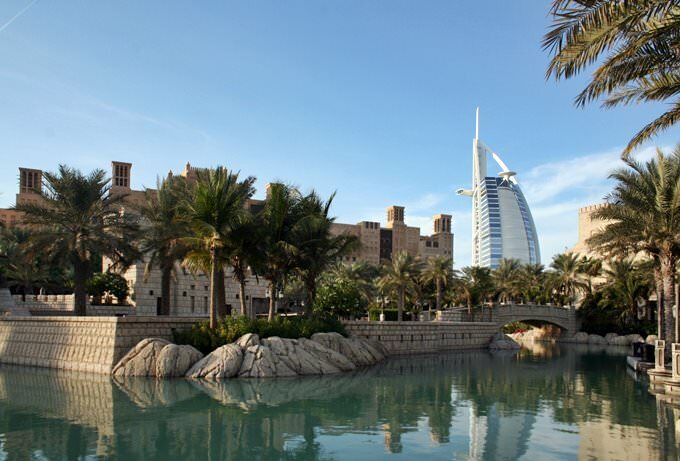 This information is also useful when making up your own excursion tour through Dubai. » Burj Khalifa is 828 m skyscraper in Dubai, the tallest building in the world. The building has 163 floors, and its shape resembles a stalagmite. » Burj Khalifa was designed as the city within the city. The total cost of construction is about $1.5 billion. » The building houses a hotel, apartments, offices and shopping centers. Burj Khalifa has three entrances: the entrance to the hotel, the entrance to the apartment and the entrance to the offices. » The highest observation deck of Burj Khalifa is located on the 124th floor at a height of 452 meters. » You can’t get to the top floor directly on any elevator, except technical one. In total, the building has 57 elevators, which can reach speeds up to 12 m/s. 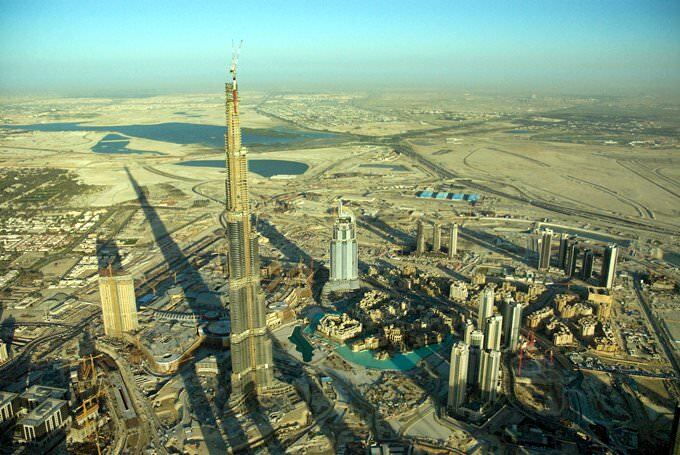 » A special grade of concrete that can withstand temperatures of up to +50°C was developed especially for Burj Khalifa. During construction of building the concrete mix was laid only in night hours, and ice was added to the solution. 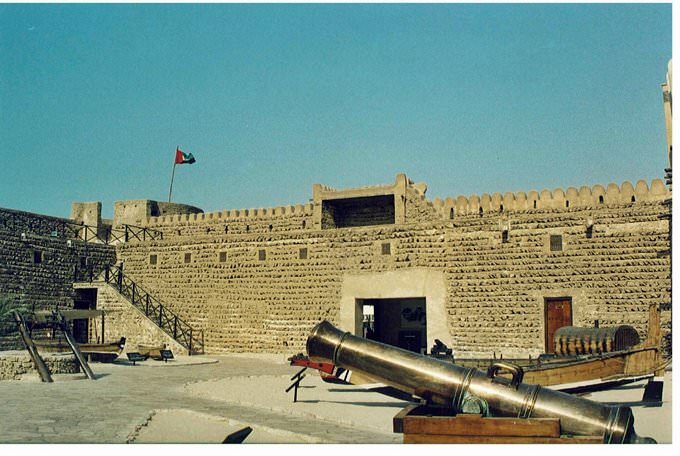 » Al Fahidi Fort is the oldest building in Dubai that has survived to the present day. » The fortress was built square-shaped with towers on its three corners. » Once the fortress was used as a protection against the raids of neighboring tribes. Later it was the ruler's palace, a garrison and even a prison. » In 1971, the ruler of Dubai decided to open a museum within the walls of the fortress. These days it has become a major and one of the most famous museums in the city. » There are local antique items, and well as artifacts from African and Asian countries in the collection. The museum was founded to represent the traditional way of life in Dubai. » Mall of the Emirates is one of the largest shopping centers in the world. Its total area is 604,000m2; area of business facilities is 223,000 m2. » Currently 400 shops, 60 restaurants, hotels, theaters and family clubs are situated there. » Here are the stores like TopShop, River Island, Next, Debenhams and Carrefour hypermarket (12,000 m2), as well as such well-known brands as Gucci, Burberry and Dolce&Gabbana. 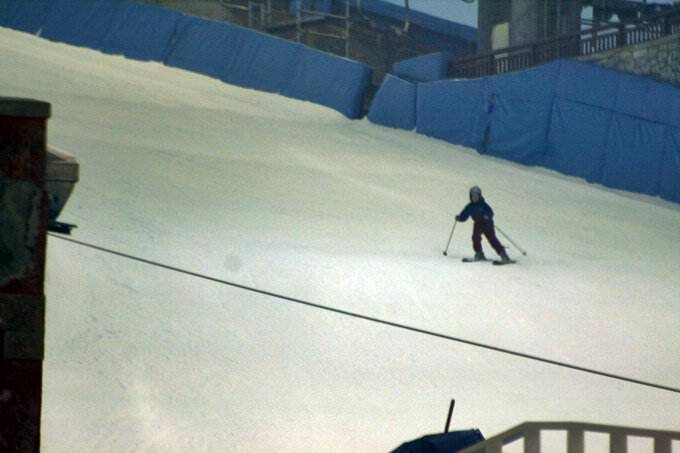 » The mall has the indoor complex Ski Dubai that is the first indoor ski resort in the Middle East. This grand attraction for the whole family takes up to 5,000 people a day. » About 22,500 square meters of snow zones offer an amazing opportunity to go skiing, snowboarding and tobogganing, or just for playing in the snow in any weather, whether it's +50C in summer or +20C in winter. » Pleasant temperature for fun (about -1C) is supported all day long by 23 powerful air conditioning and refrigeration units. At night the temperature drops to -8C; 30 tons of snow per night is produced by the complex. » The Dubai Fountain is one of the largest and highest musical fountain in the world located near Burj Khalifa in downtown of Dubai. » The length of the fountain is 275 m, and the height of the stream reaches 150 meters, about the height of a 50-storey building. » The fountain is illuminated with 25 colored and 6,600 point spotlights. Rays of light from the illumination can be seen within a radius of 32 km. » In 2010, the fountain was upgraded and equipped with the system creating the effect of fire and smoke. 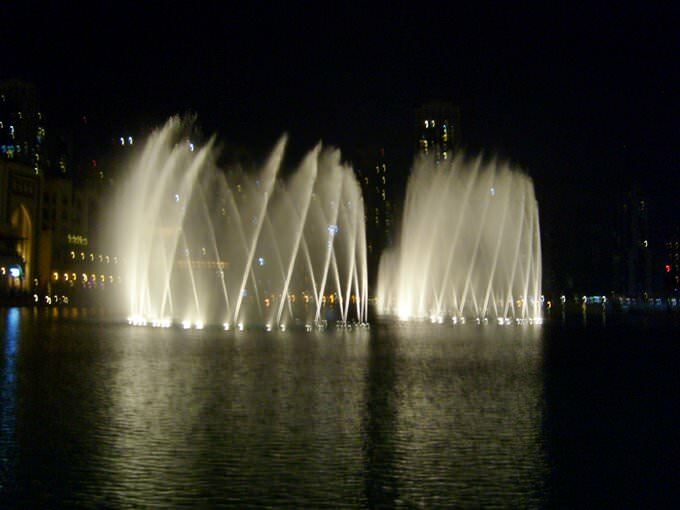 » The musical fountain show starts every day and every 30 minutes from 6.00pm to 11.00pm on weekdays and from 6.00pm to 11.30pm on days off (Thursday, Friday and Saturday). » Hotel Burj Al Arab was constructed for five years on a bulk island. A bridge connects it with the shore. » The architectural structure has a unique silhouette in the form of a sail, the building seems to hover over the bay. » The height of the hotel is 321 meter. At the top, there is a helipad and arestaurant "El Muntaha". » The lobby of the hotel, 180 meters high, is labelled as the highest in the world. In its decoration, there is a stair fountain surrounded by moving escalators. Climbing up, hotel guests can watch the inhabitants of aquariums built into the wall. » The hotel has only two-story rooms. Smallest one - 169 square meters, and the largest one - 780 square meters. All rooms have huge windows that allow guests to admire the sea breeze. » Burj al Arab's interiors are made at the highest level of luxury. Constructors used 8000 sq.m. of 22-carat gold. » It is now the most expensive hotel in Dubai. The building of the hotel has become a symbol of the city and the country. Facts: » Jumeirah Mosque with its two minarets and majestic dome is considered one of the most beautiful and elegant buildings, not only in Dubai, but also in all the UAE. The mosque is especially amazing at night, when it’s lit by backlight. » It’s said that Jumeirah Mosque is the most photographed mosque in all of Dubai. » This mosque is one of the few in Dubai that organizes travel tours and excursions, even for non-Muslims. » This is the only shrine in Dubai that is open to the public 6 days a week (except Friday). » Excursion to the Jumeirah Mosque begins at 10 am Monday through Thursday and lasts 75 minutes. This guide to architecture monuments in Dubai is protected by the copyright law. You can re-publish this content with mandatory attribution: direct and active hyperlink to www.orangesmile.com.